For the 30 days following the launch of the iPhone XR in October 2018, Apple has managed to attract more Android users to its phone in the United States. A study from Consumer Intelligence Research Partners (CIRP) found that the new iPhone XR accounted for 32% of total U.S. iPhone sales during that time, while the combination of the XS and the XS Max accounted for 35%. Mike Levin, CIRP Partner and co-founder, believes that while Apple doesn’t provides detail about its launch strategy, based on pricing and features he can infer that Apple positioned the iPhone XR to appeal to potential operating systems switchers from Android. "The data does not really reveal why, specifically, Android users switch to an iPhone or why iPhone users stay with an iPhone," Levin wrote in an email to MediaPost. "The data isn’t even clear about why consumers decide to buy a new phone instead of keeping an old phone." He wrote that phones have about a 2.5-year replacement cycle -- an increase over the duration of almost two years that was standard before carriers ended subsidies. And the time period does not differ significantly between Android and iOS users. It's not clear whether advertising influences the decision to upgrade, because CIRP did not ask consumers about their exposure to ads, but the price for the XR is substantially less than the iPhone X. The XR starts at about $449. The switch also will likely not affect the number of consumers searching on Google. The search company, Google, reportedly paid Apple $9 billion in 2018 and $12 billion in 2019 to remain as Safari’s default search engine. 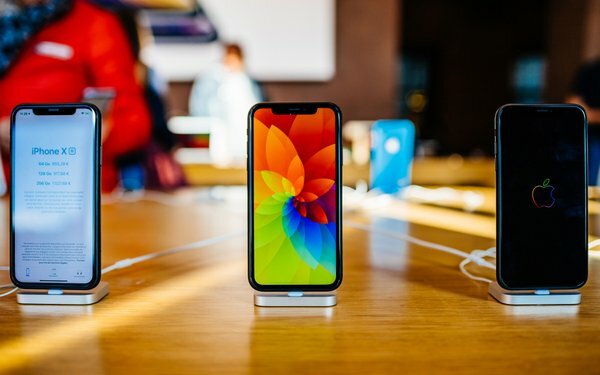 The research firm based the findings on its survey of 165 U.S. Apple customers who purchased an iPhone within the 30 days following the launch of iPhone XR. Still, most of the upgrades came from iPhone buyers. In fact 82% had previously owned an iPhone. About 16% of new users upgraded from an Android phone. At the November 2017 launch of iPhone X, 86% upgraded from an iPhone, and 11% upgraded from Android. Following the September 2017 launch of iPhone 8 and 8 Plus, and before the iPhone X was available, 87% upgraded from an iPhone, while 12% upgraded from Android, according to the report. iPhone shipments during the third quarter of 2018 fell 6% -- the first time in seven years that Apple didn’t take one of the top spots. During the third quarter of 2018, smartphone manufacturers shipped 355.2 million devices worldwide -- down from 377.8 million units in the year-ago quarter. In the third quarter, Apple took 13.2% market share, coming in at No. 3 behind Samsung and Huawei.